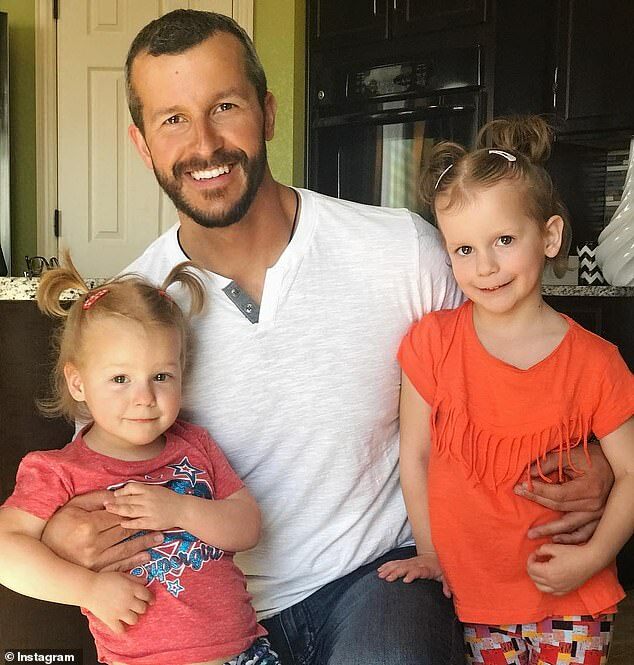 The Watts County District Attorney’s Office release new videos related to the Chris Watts investigation on Thursday afternoon, including one of the convicted murderer driving off with the bodies of his victims. 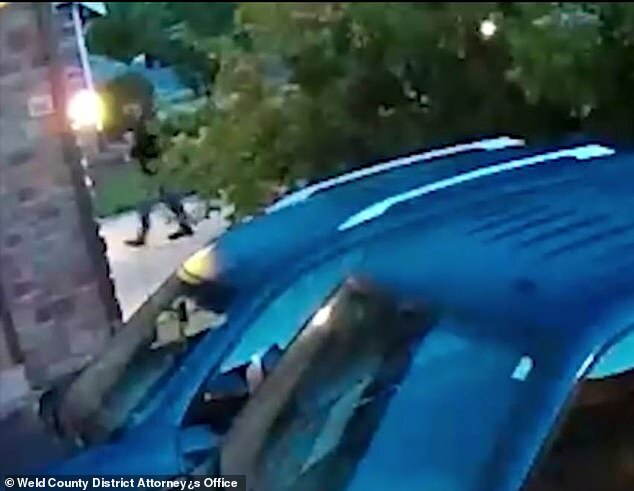 Surveillance footage captured by Watts’ neighbor shows the married father leaving his home on the morning of August 13 at around 5:30am. He can be seen emerging from the house getting the truck, which he then backs up into the garage. Then, after loading his truck, he drives the vehicle down the driveway and pauses for a moment before driving off down the road. Watts had taken the girls to a birthday party on the afternoon of Sunday, August 12, and while Bella, 4, and Celeste, 3, played in the pool their father started texting co-worker Kodi Roberts. He noted that both girls were eager to see their mother, who was due to return home late that night. Hours later, the girls and their mother Shannan were all murdered in the house, and their bodies disposed of at Cervi 6-29. Shanann’s father was one of the last people to see the girls, revealing he spoke to them on FaceTime on Sunday evening. Frank Rzucek stated in an interview with law enforcement officials that he spoke with both Watts and Bella, who was eating cold pizza and candy. He made no mention of seeing Celeste. Watts claimed that he put the girls down before 8pm and that Bella woke up twice, running out to ask when her mom would be returning home. 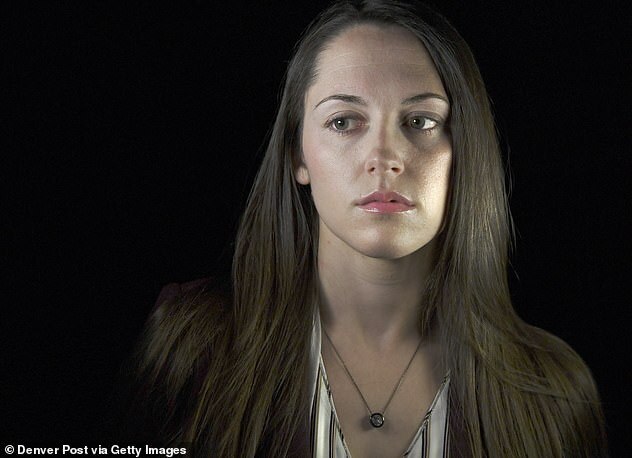 The young girl’s father and soon-to-be-murderer admitted to assuring her that she would see her mother in the morning. A babysitter, who was the sister of the birthday boy whose party Watts and the girls attended that Sunday, also spoke with an agent with the Colorado Bureau of Investigation. She said that on Saturday Watts had asked her to watch the children while he attended a Rockies game, though it was later revealed that he was actually on a date with his mistress, Nichol Kessinger. She had babysat for the girls the previous evening, when Watts had claimed to be attending a Colorado Rockies game. The babysitter said that while watching the girls Shannan called at 7.50pm to check on the children’ while she was away and later posted a photo. There was nothing remarkable that happened that night save for Watts returning home at 10.30pm, later than he had promised to be back at the house. It was also her first time babysitting for the family, with the normal sitter who is a close friend of Shannon’s not called in for reasons that are not stated in the reports. The babysitter did have a different version of events as to what happened the following day though, saying that Watts left the party much earlier than he told authorities. ‘[The babysitter] stated the following day, Sunday August 12, 2018, Chris, Celeste and Bella came to her home for a birthday party for her younger brother,’ reads the CBI report. 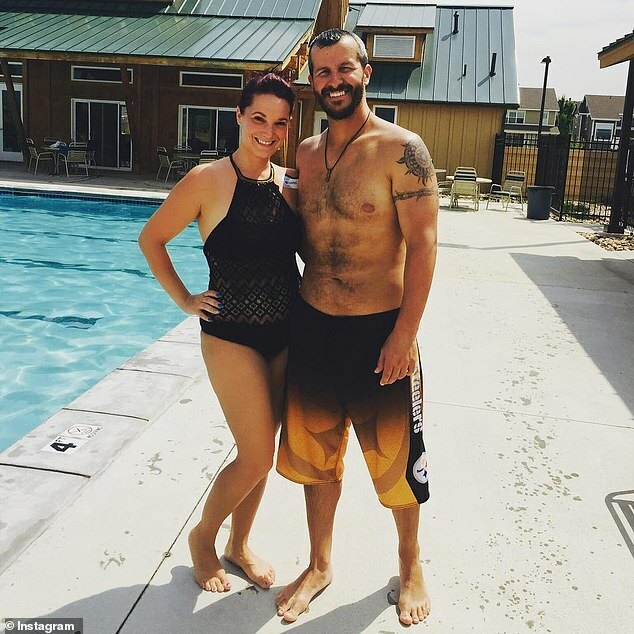 Watts’ co-worker Roberts later told the an agent with the Colorado Bureau of Investigation that it was ‘unusual’ that Watts had texted him on a weekend, and stated that he did arrive to the site alone on Monday morning. That day he did not seem to be out of sorts according to Roberts, but did make multiple trips to his car. Unbeknownst to Roberts, he had just buried his wife in a shallow grave and dumped his daughters in an oil tank. After strangling his wife with his hands and smothering Bella and Celeste last August, Watts loaded their bodies into his truck. He spent a normal day at work and frequently texted his girlfriend, even as police began investigating his family’s disappearance. He made calls to a real estate agent about selling the family home and told the girls’ school that they would not enroll that fall as planned. Within days, he was charged with killing his family.